Head wraps are a fun fashionable way to add instant exoticism to your wardrobe (or to hide a "bad" hair day). Putting on a head wrap is much easier than it looks, and although it may take a few tries, you'll have it down in no time! 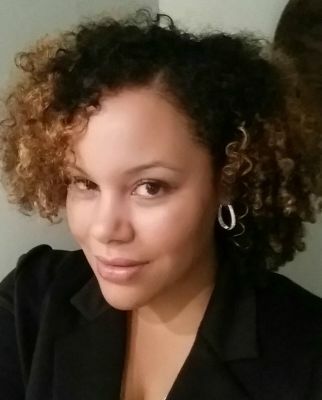 Monique London, lover of all things natural is the owner of London Ivy Products(L.I. ), a natural and organic product line, and an extreme head wrap lover! Get a better insight in how to maintain healthy hair and length without sacrificing the quality of your protective style. We will look at the proper techniques to install, maintain, and update your style. Fun & interesting hair product education for current Naturalistas or, women who are transitioning or tempted to transition. Helping us to navigate through the many pricy options!! How-to direction as well. I'm Rachelle and I'm passionate about empowering women and girls to live their best lives and fulfill their full potential all while feeling comfortable being their beautiful and natural selves. When a friend asked blogger Mundia Situmbeko why she never wore her hair in its natural state, Mundia realised she didn’t know how to respond. 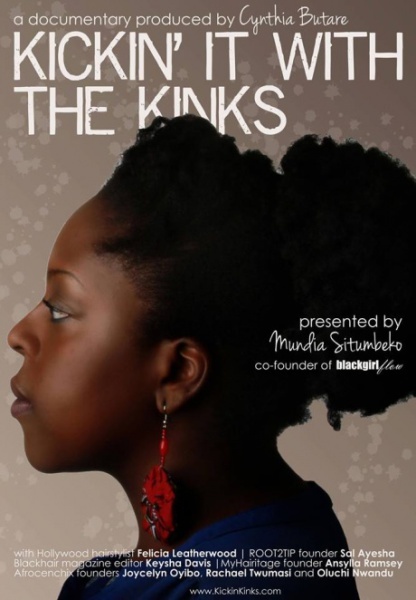 KICKIN’ IT WITH THE KINKS follows Mundia’s exploration of the history and established norms of afro-textured hair. We follow Mundia as she goes in search of answers. First, Mundia observes an informative discussion group by Afrocenchix. She later attends American 'natural hair guru' Felicia Leatherwood’s workshop and joins a heated debate at Manchester Metropolitan University's student union. These encounters open a dialogue on the role of history (and that of the media) in today’s perceptions of beauty and identity as well as the concept of ‘work appropriate’. As she explores the surrounding culture, Mundia learns the true extent to which women dedicate time, effort and money to styling their hair. After examining the realities of the ever-booming hair product and hair extension industries, Mundia comes to appreciate her natural beauty and waves goodbye to her weave. and why they can affect the health of your body. Don’t be fooled anymore! Some people will tell you that some toxic ingredients in your hair and skin care products are not really that bad. Well, that the same thing they told us about cigarettes & refined sugar and look where that has gotten us. 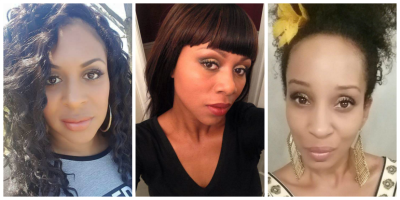 Let En’tyce Your Beauty - Naturally Educate & Empower you from the Outside In & Inside Out. Taymer Mason will be launching her new book with a book signing and performing demos on Hand Crafted Natural Hair Products, the Secrets Behind Whipping Shea Butter, Papaya Anti-Breakage Hair Mask, Coconut Styling Hair Milk and Coco Aloe Deep Conditioner. 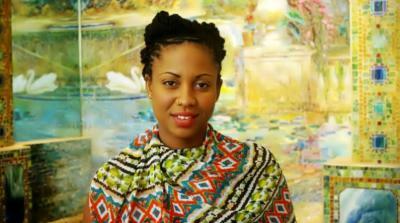 Taymer Mason is a Barbadian trained microbiologist and food scientist. A self-described geek growing up she spent her days reading scientific books, writing poetry and painting. Taymer (pronounced Tay mar) describes herself as an artist at heart. In 2010 the vegan chef wrote Caribbean Vegan which is being released as a second edition in November 2016. Taymer was always obsessed with botany at a young age and believes that all plants have a purpose. In 2006 she started making products for her natural hair using Barbadian molasses, wild hibiscus flowers and forest made island oils. This bilingual globe trotter spends her days writing cookbooks on veganism, marketing artisanal small businesses and creating new hair and skin products. 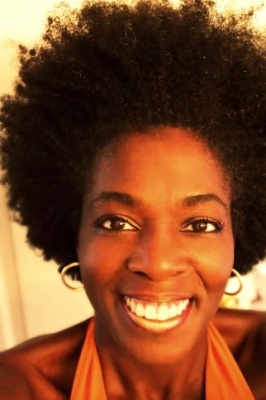 She hopes to launch a ‘clean’ natural hair and skin line by 2017.